Incorporated in 2007, Prime Customer Services is a multi-services customer focused organization and offers value added services to a whole range of clients spread across various business segments. The company is engaged in the business of providing services; namely, warehousing solutions, cold storage and ripening solutions, manpower solutions and packaging solutions. It is also engaged in trading of perishable food items, mainly fruits and vegetables in the domestic as well as export markets. 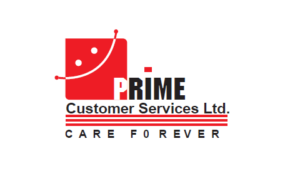 Prime Customer Services’ customers are primarily located in the western India, majorly Gujarat and Maharashtra. The company started exporting fruits and vegetables in the year 2015-16, currently to U.A.E. Started with an idea to deliver fruits and vegetables at customer door steps with a small warehouse and a designer mobile van shop in the year 2007, the Company has reached a stage where it has entered into tie-up with large corporate from procurement of fruits and vegetables and operate a warehouse facility, cold storage & ripening chambers of approximately 10,180 sq. ft. totally and managing clients’ warehouse and cold storage facilities of approximately 2,55,700 sq. ft. currently. Promoters of Prime Customer Services – Jinen Ghelani, Hiren Ghelani and NH Time Investments Research Pvt. Ltd.
Prime Customer Services IPO allotment status is now available on Bigshare Services Private Limited website. Click on this link to get allotment status.